Sales of hardware, software and accessories are way down as the world awaits new consoles from Sony and Microsoft. It's hardly a surprise, but April wasn't the most bang-up month ever for the videogame industry, as retail sales tanked across the board. 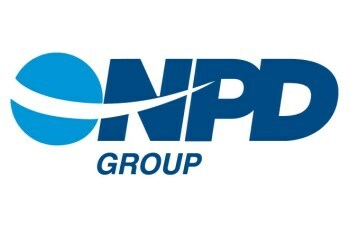 Hardware sales were down a whopping 42 percent compared to April 2012, according to NPD figures, to $109.5 million. Microsoft said it sold 130,000 Xbox 360 consoles over the month, a slide of 45 percent compared to the 236,000 units that were moved the previous year; Nintendo and Sony typically don't release monthly sales numbers. Retail software sales were down as well but not nearly as precipitously, declining 17 percent to $254.3 million. Total spending on videogame hardware and software in the U.S. was $802 million, split roughly evenly between physical and digital sales. Videogame sales have been declining for some time now - analyst Michael Pachter said there hasn't been a full month of week-over-week growth since November 2011 - but the obvious and essentially insurmountable problem facing the industry now is that both Sony and Microsoft have new consoles ready for release in the relatively near future, and nobody wants to sink money into current systems that are still relatively expensive but will be old news by the end of the year. The Wii U, meanwhile, the one new console that's already on the market, continues to grossly underperform. While the new consoles from Sony and Microsoft are both expected to be available for the 2013 holiday season, Pachter said that he doesn't expect to see sustained growth in the industry until sometime next year.